Q. What is a Teaching Coat? Q. 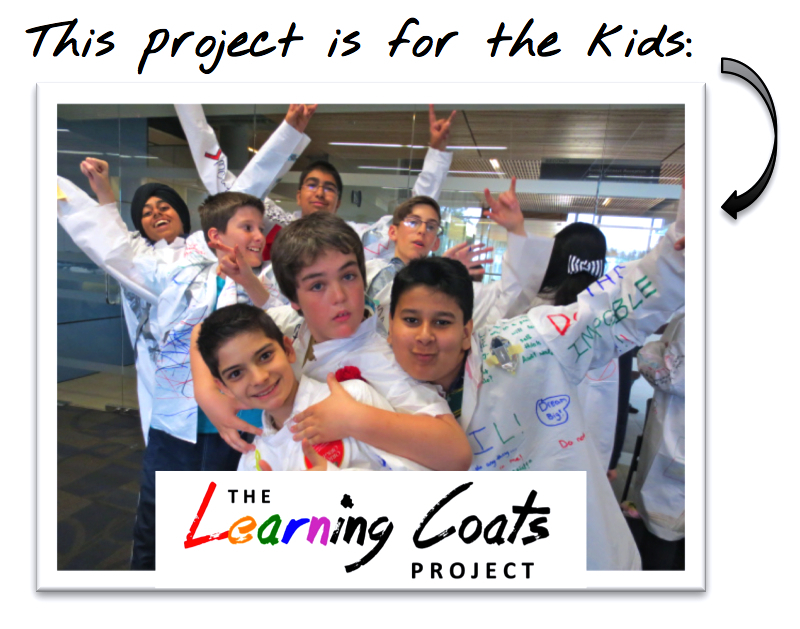 What was the inspiration for “The Teaching Coats Project”? Q. Why should I make a Teaching Coat? You will know you should make a Teaching Coat if the concept speaks to you in some way, if it sparks an idea, or gets you thinking. Some teachers have shared that because of their Teaching Coats, for the first time they really understood their own teaching philosophies—and in a tangible, and visceral fashion. For some, it makes them feel more connected, self-aware, and clear in their professional purpose. 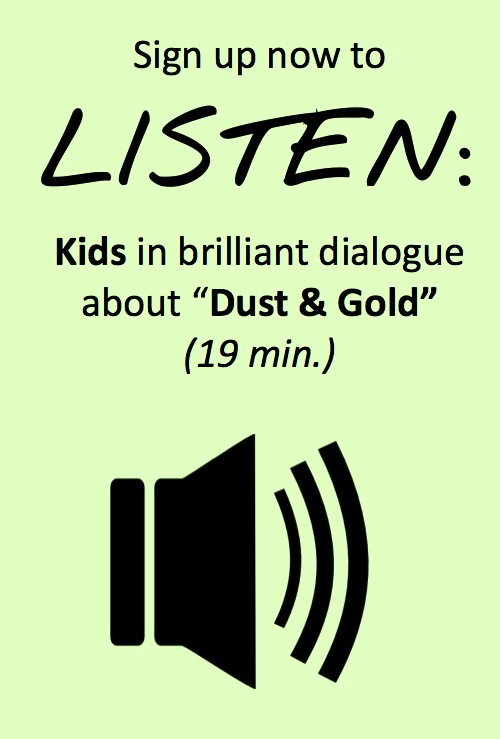 We are all both dust and gold, and we need to remember who we are–and perhaps your Teaching Coat may be the very thing to do that. In a way, your Teaching Coat already exists–it is something you wear around you everyday. It is invisible by perceptible by those you meet. 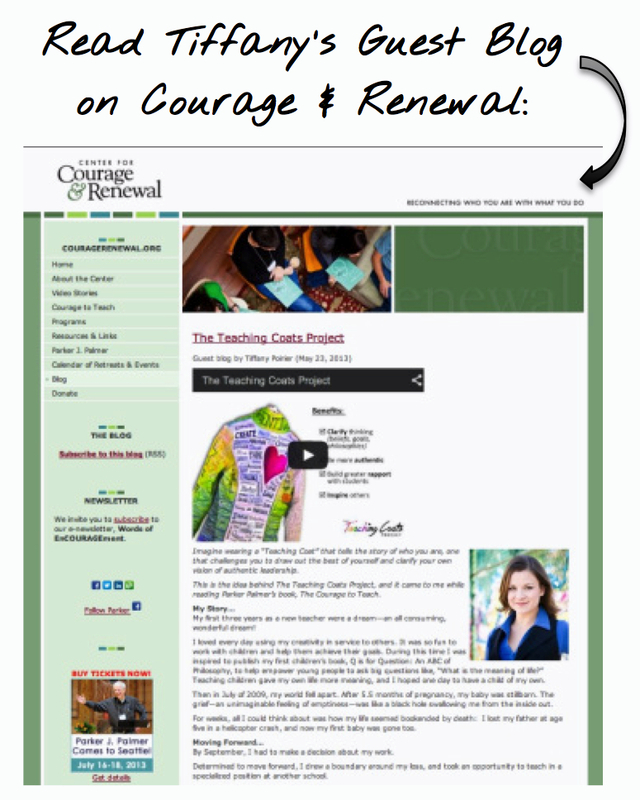 Making your Teaching Coat is…well, it’s like giving voice to a song already in your heart. It’s like a kind of translation…making a Teaching Coat helps you to understand and see something that you may already feel but cannot articulate…a picture says a thousand words. Q. How do I make a Teaching Coat? This will be entirely up to you and must be guided by your heart, your creativity, your instinct. Some may choose a jacket, like a blank white lab coat, and and put dust and gold in the pockets and continue building in other symbolic elements, artifacts, stories, reflections, and illustrations, etc. You may find inspiration from anything that has helped to shape your professional identity, and for the design element you may choose to borrow ideas from textile traditions such as quilting, Tibetan prayer flags, and yes, even punk rock jackets. You may get ideas from nature. You may write directly on the coat or attach items of meaning using needle and thread, fabric glue or just a stapler. It’s all up to you! See the “How-to” section of this website for more ideas! Q. Won’t I look silly wearing my Teaching Coat at school? Won’t people laugh? Probably..and how wonderful! How wonderful for your students as you courageously model that your classroom is a safe place to take creative chances and to be your true self. And go ahead and laugh at yourself too…laughter is the perfect accessory and it looks so good on you!